A lot of business owners don’t have time to reply to their customers messages over social media. This leaves them feeling unheard but you you can change this! Leave your social media management to us and we will respond to customers and post relevant content to increase customer engagement. This gives you the time to focus on running your business. Google Adwords is the fastest and easiest way to get your website on google search results. We will set up your pay per click campaign on google Adwords and optimise it going forward so that you get the highest return on investment. Almost everyone is on some form of social media now and Boomerang Social can use this to your advantage. Your business is different! We communicate your value proposition to your audience so they know why they should choose you. We recommend using social media management with this to keep customers engaged once they are following your page. Search engine optimisation is the practice of optimising your web presence to increase your rankings in search engines like Google. Investing in Search engine optimisation is like long term investing in stocks, it takes time but provides the highest returns. 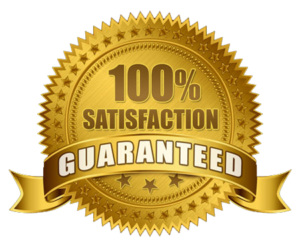 We have a 100% satisfaction guarantee, which means you can rest assured we are doing our best to help grow your business and keep you happy. If however you are unhappy and we can’t resolve the issue we will refund our charges.